To Dundee, then, for the a preview of the opening of the new V&A museum on September 15. 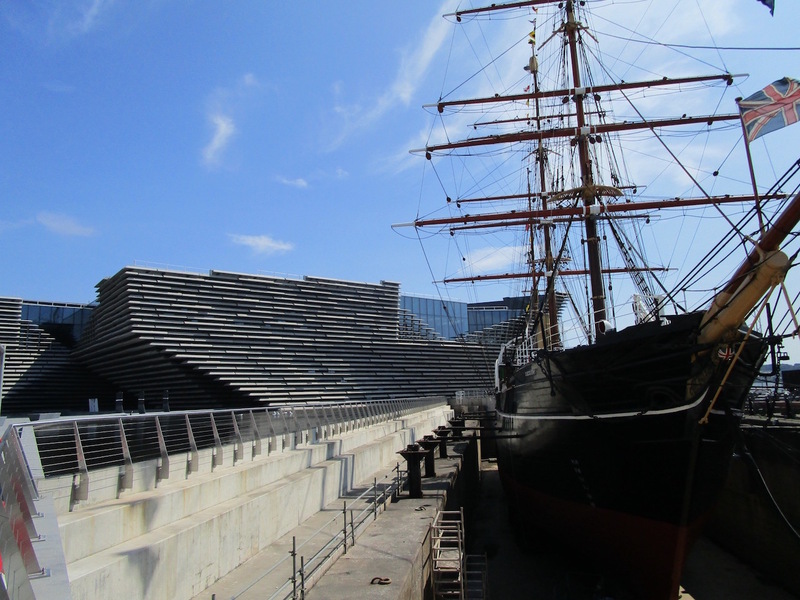 V&A Dundee will be the first ever dedicated design museum in Scotland. The museum [pictured above] will feature permanent Scottish design galleries, including objects from Charles Rennie Mackintosh’s Oak Tea Room. The opening exhibition, Ocean Liners: Speed and Style, runs until February. I was a bit unsure about Dundee at first. It’s not the most straightforward journey, changing trains at Edinburgh, and first impressions of the city centre didn’t exactly blow me away. Think a vast construction site, compounded by road closures for the weekend’s Rita Ora concert in Slessor Gardens. But, the next day, I explored beyond the main streets and found a different side to a city still in its tourism infancy. Read more in my forthcoming feature for Immediate Media. Liked this? Try also Behind the scenes at the Glasgow School of Art.